More than 30 patterns available! Some applications require special laser patterns that can be produced by so-called diffractive optical elements. These optics are computer generated and are manufactured cheaply in mass production by copying the master optic. These optics can be permanently integrated into a FLEXPOINT® laser module or delivered in a pluggable plastic mount. 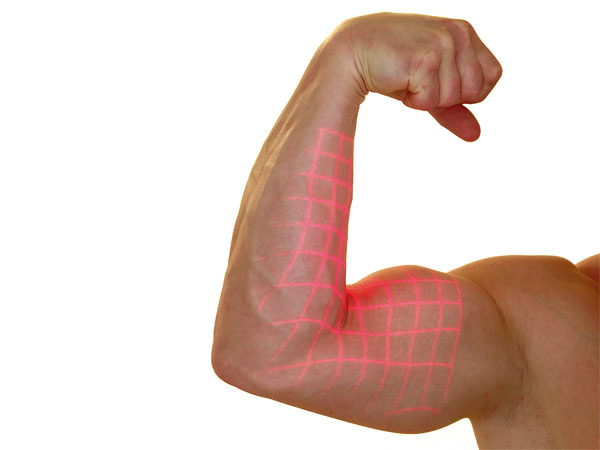 In industrial image processing lasers are used for special types of illumination. 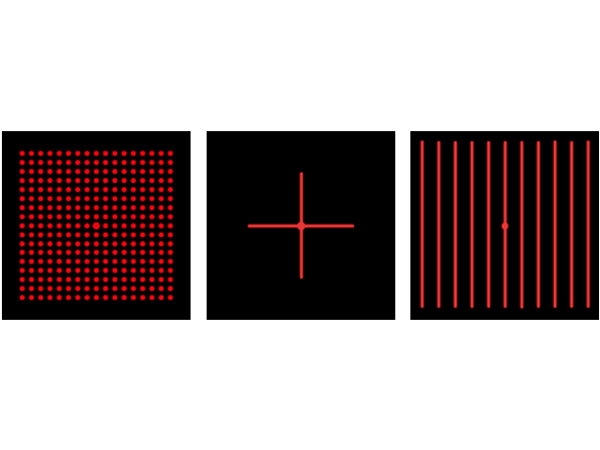 Often a pattern projection is required that may be implemented with the help of a diffractive optical element (DOE). These optics, which are used to create the structured light, may be fixated in a FLEXPOINT® laser module or mounted to the module as a removable cap. The following patterns are available: line, cross-hair, multiple line (often referred to as multi-line), dot matrices, circle, and grid.